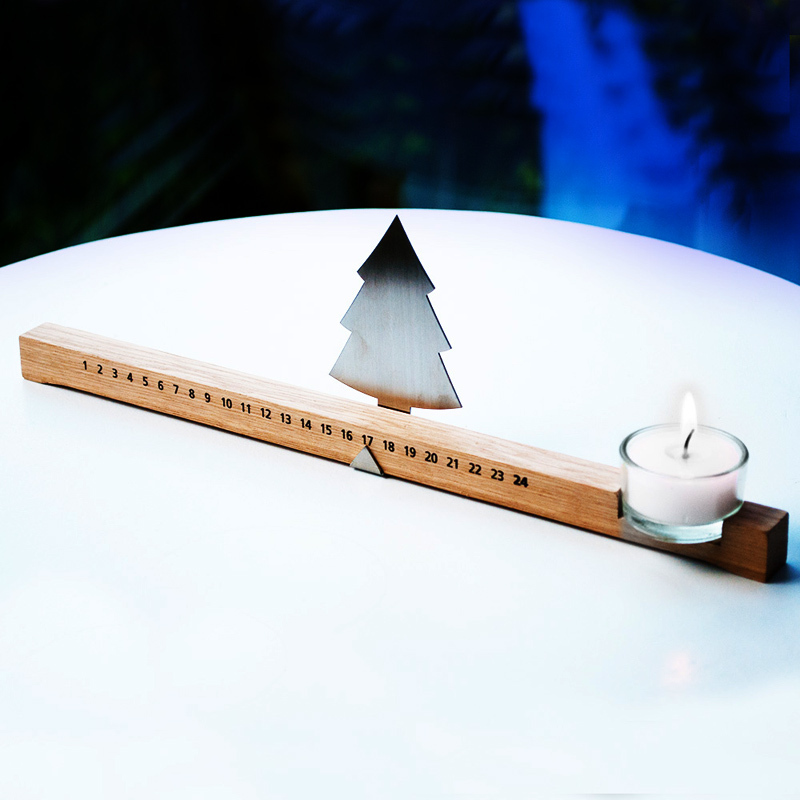 Advent calender with stainless steel Christmas tree on Oak rail with glass tealight. A beautifully crafted stainless steel Christmas tree is moved along the Oak rail and points to the day’s date until Christmas Eve. A small glass tealight holder sits at one end and illuminates the tree.